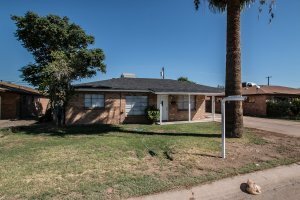 We Buy Houses In Phoenix Fast For Cash! If you’re looking to sell your house without hassle and no fees, we can help! We Buy Properties Anywhere In Phoenix Area And Throughout the Valley of the Sun. Check Out How Our Process Works. We’re Ready To Give You A Fair Offer For Your House. We’re your local and trusted “we buy all houses company” in the Valley. You can trust us to follow through with everything we promise to do. No games or gimmicks. Just a simple transaction to buy your house with cash. When we say “we will buy your house” .. we are going to buy your house. Tired of waiting for the quick property sale? We can help you be done with that unwanted property. Let us buy your Phoenix house now, regardless of condition. A recent home we purchased from James in Phoenix on Rose LN. James got what he wanted and walked away with money in his pocket. You can too! Contact us! All that hassle can add stress, months to the process, and in the end after paying the agent’s expensive fees, you may or may not be ahead of the game. Can you afford to take that risk? We can help you avoid that. We work differently at Higher Offer. When you contact us and submit the short property information form (below), we’ll give you a fair all-cash offer on your house within 24 hours… and the best part is: we can close whenever YOU choose to close – it’s entirely up to you. It doesn’t matter what condition the house is in, or even if there are tenants in there that you can’t get rid of… don’t worry about it. We’ll take care of it for you. The solution is giving you cash for your house and offering a closing that meets your timeframe. We help property owners just like you, in all kinds of situations. From divorce, foreclosure, death of a family member, burdensome rental property, and all kinds of other situations. We buy homes in Arizona… including Phoenix and surrounding areas and pay a fair cash price, fast. Sometimes, those who own property simply have lives that are too busy to take the time to do all of things that typically need to be done to prepare a house to sell on the market… if that describes you, just let us know about the property you’d like to be rid of and sell your house fast for cash.